I keep seeing your postings about repo the genetic opera, you've made me really desperate to see it! Haha I must know why you love it so much, and a few other people I've seen online. 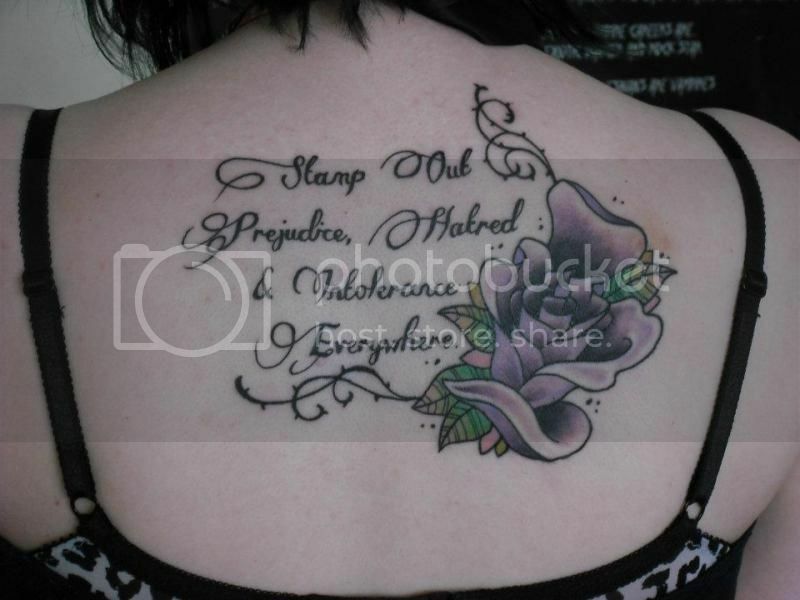 I really like that tattoo the shading behind the scroll is awesome! I forgot I hadn't posted this one yet. Simplistic, but incredibly meaningful. I'm a words girl, what can I say? synthetic-creature wrote: This is a new piece only like 2 days inact... I don't know How many of you have seen REPO!The Genetic Opera... This new piece was inspired by a quote in the movie. Its a good movies and I feel the words of the song "Chase the morning" and so I wanted to share them with anyone that met me... Here they are. I can't say just how much I love this! It's lovely. And corpseesproc, the movie is just wonderful. It has a wonderfully set up gothic world with some less than favorable circumstances. Somehow it all falls apart for the main character but she's able to keep walking with her head high in her own skin. I love the music too but some people have stated they think it's awful and tuneless. While the movie won't get everyone's attention, it'd definitely worth seeing. Although I love this movie the tattoo its self has little to no relation to the movie. Nothing outside of thats hwere the quote came from.The quote is something every fiber of my being can feel. My mermaid, getting it coloured on the 21st, I can't wait to see it finished! I bet it will look divine! the outline its self is cute! I have hardly any photos of my inkings, this one's from a few years ago. Hello Everyone! I've been gone for quite a while, and then been mostly lurking. 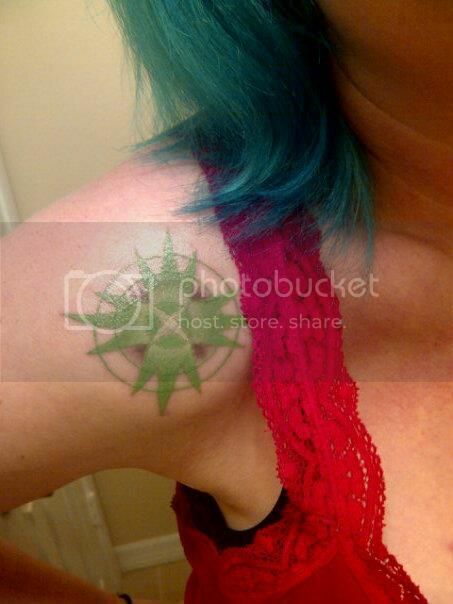 I thought I'd arrive back with a picture of my very first Tattoo. I used to say I'd never get one because of the pain but it was one of the most amazing experiences ever! Anywho this was done by one of the artists at Mantra Studios in Cheltenham. Oh, wow! You should send Sylvia a picture of that. I'm sure she'd love to see it! Thats a lovely idea actually. I hadn't thought of that. Gonna try to get something not stupid! very cool, Sarah. I really like the style! Last edited by Miss Liberty on Tue Apr 09, 2013 6:38 pm, edited 1 time in total. now everything's about to fall apart.. 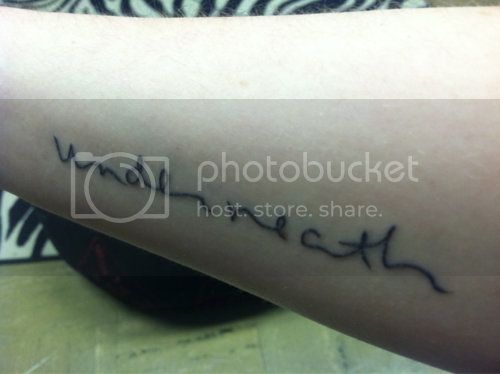 I need to go back & get a few bits touched up - as per my tattooists request. Kamiltattoos.com. It'll be a full sleeve, though only my lower arm is complete. Jeeeez Sammu that is amazing! CM, my mouth dropped. i absolutely adore cardinals. i am right jealous! Cirquemachine: That is GORGEOUS! Love it - Kamill's work is stunning. 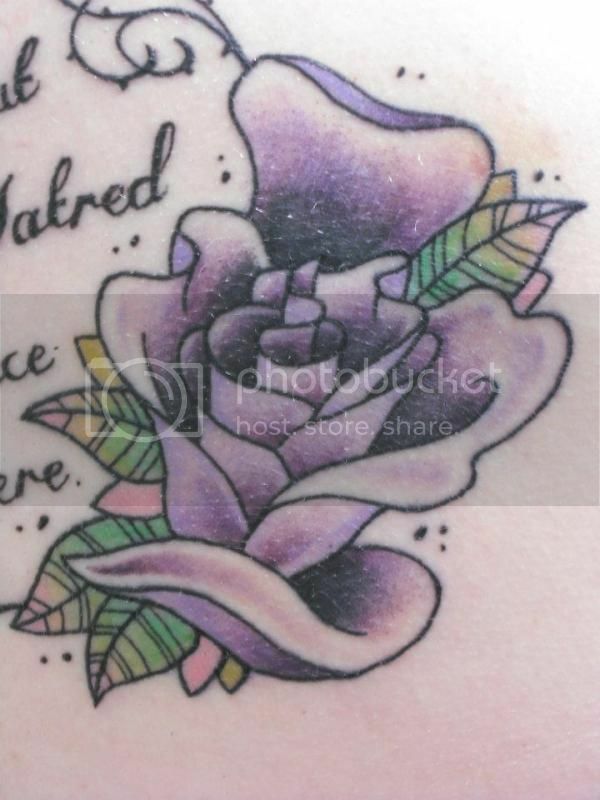 I actually saw this in a buzzfeed article yesterday about water colour tattoos and thought it was beautiful then... but was confused as i didn't think it was a watercolour tattoo. 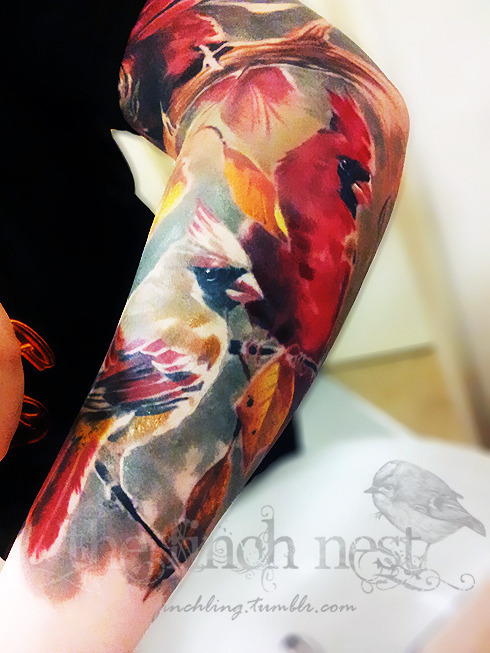 Anywho - I digress - your sleeve is beautiful!